Florida seafood lovers know that the sweetest meat to come from the sea comes from stone crabs. Stone crab season runs from mid-October to mid-May, when nearly all harvested claws are pulled from the warm waters off Florida’s Gulf Coast. Unlike other crabs, only the claws of the stone crab are typically served–cooked, chilled and cracked with a mustard-based sauce for dipping. 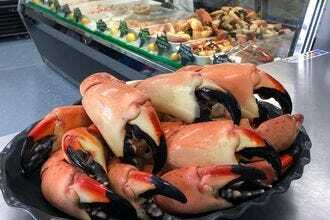 Since stone crabs can regenerate their claws, they’re a sustainable source of seafood. These 10 restaurants are known for serving up the best, freshest stone crab claws in the state. While Frenchy’s Original Cafe in Clearwater Beach might be best known for its Super Grouper sandwich, the quaint eatery also serves fresh Florida stone crab claws when they’re in season. Kirk Fish specializes in fresh caught gulf stone crab, caught daily throughout the season. 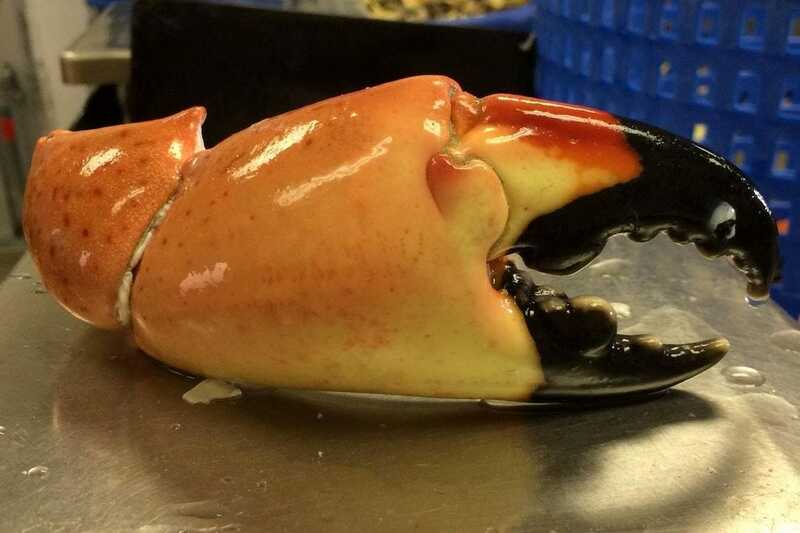 Visitors can buy cooked and chilled claws by the pound in four different sizes – medium, large, jumbo and colossal – served with melted butter or homemade mustard sauce. Diners at Key Largo Fisheries can purchase fresh caught, cooked and chilled stone crab claws by the pound or in the form of a warming stone crab chowder. 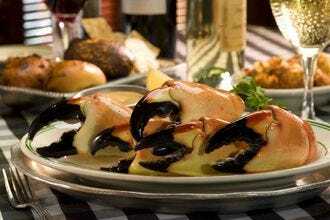 Pinchers locations in Florida serve fresh stone crab claws with their popular creamy mustard dipping sauce seasoned with Old Bay. 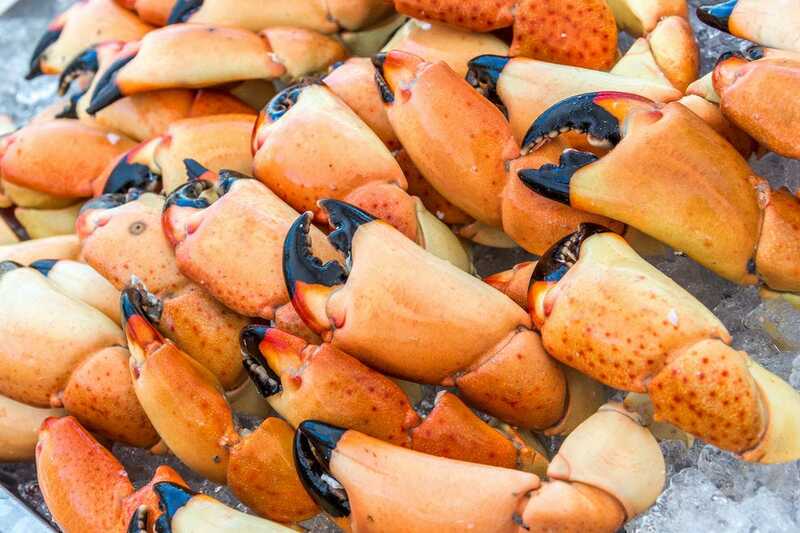 Crab lovers in Miami Beach love Joe’s Stone Crabs, where the sustainably sourced stone crab claws are served chilled and cracked with mustard sauce. 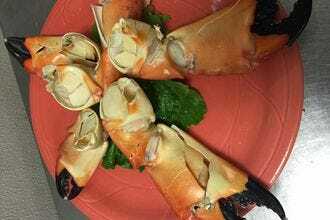 The stone crab claws served at Star Fish Company in Cortez are sourced from local crabbers who have been in the business for decades. Other restaurant specialties include Florida pompano and grilled mahi mahi. 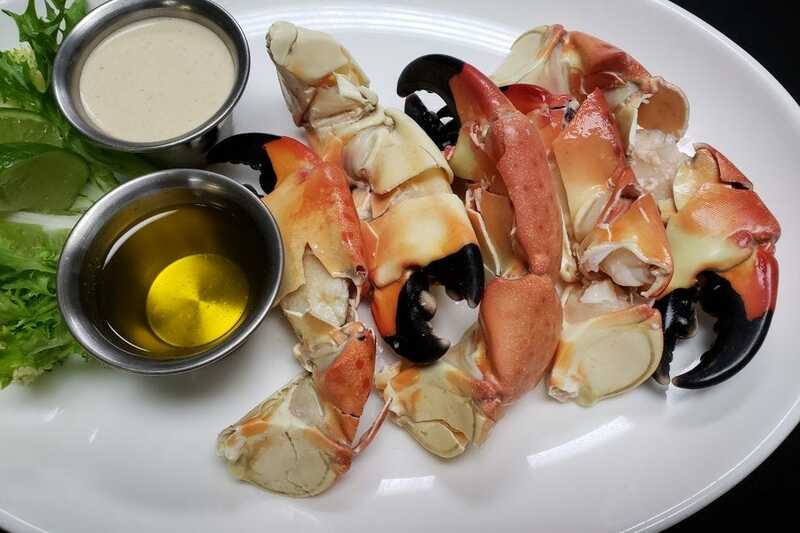 Diners at Sails Restaurant in Naples have a variety of house-made dipping sauces to choose from when ordering stone crab claws – mango mustard (the most popular), apple mustard and lemon herb aioli. Get Hooked has their own fishing fleet to pull fresh seafood straight from the gulf. 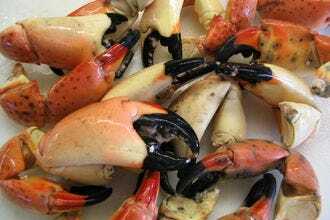 Florida stone crab claws make an appearance on the menu of the Hudson Beach seafood spot throughout the season. 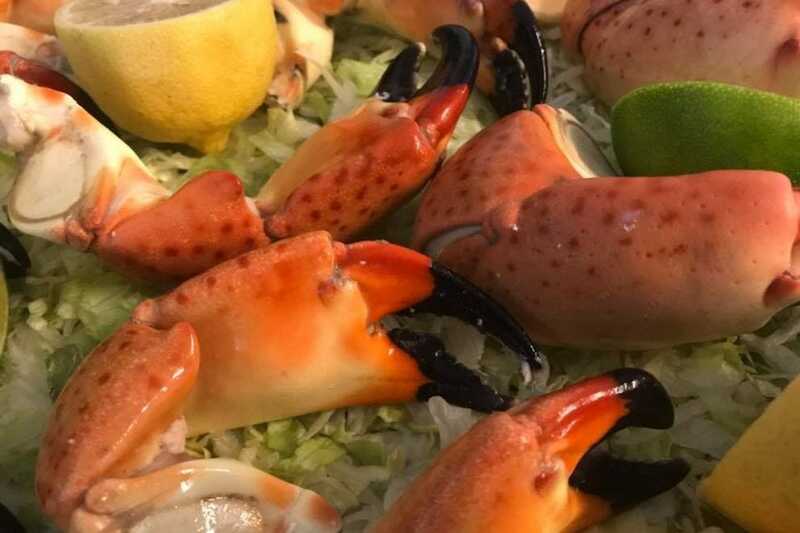 The seafood menu at Bern’s Steak House changes regularly to reflect what’s fresh and in season, and that includes stone crab. 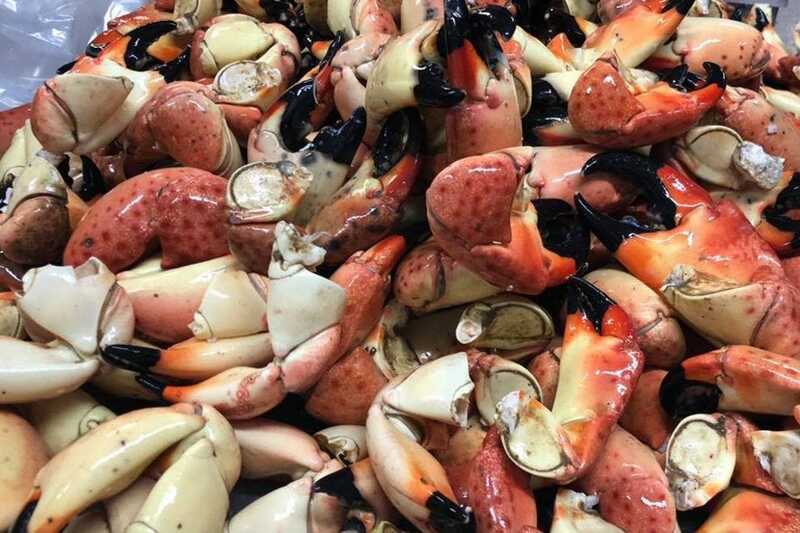 This Tampa restaurant skips the middle man when sourcing their seafood to make sure it’s shipped directly to the kitchens. 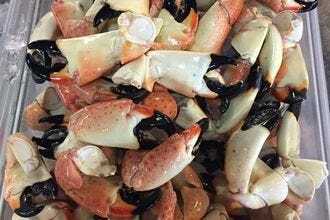 You don’t have to be a guest at the Grand Hyatt Tampa Bay to enjoy fresh stone crabs from Oystercatchers restaurant at dinner during the season. 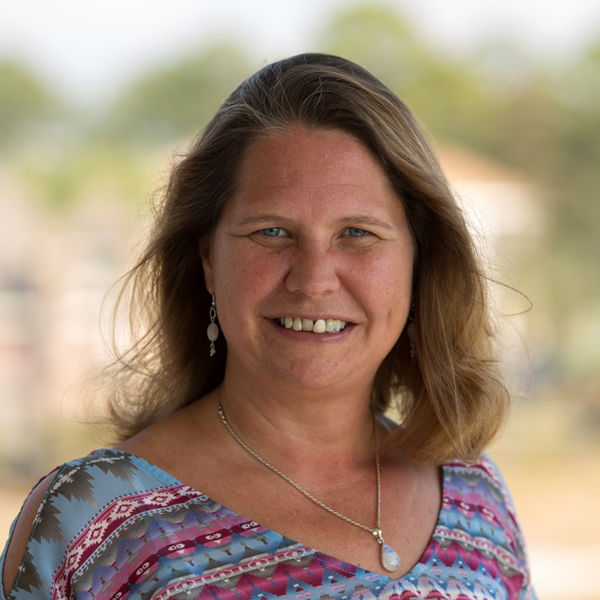 Skye is a freelance writer that adopted Tampa as her hometown over a decade ago and never looked back. As a native of Canada, Skye has happily embraced the no snow climate, and in her spare time enjoys nothing more than basking on the white sand beaches of the Gulf with rum runner in hand. Living in such a dynamic and up-and-coming city as Tampa provides plenty to write about, and Skye spends much of her time exploring new attractions and discovering hidden treasures for her readers. You can connect with Skye via her Facebook page @BestofTampa.